The Television Talk Show Workshop made a record in the history of the European Youth Media Days. It has produced a 70 minutes talk show, which is more than the average EYMD television production from previous years! 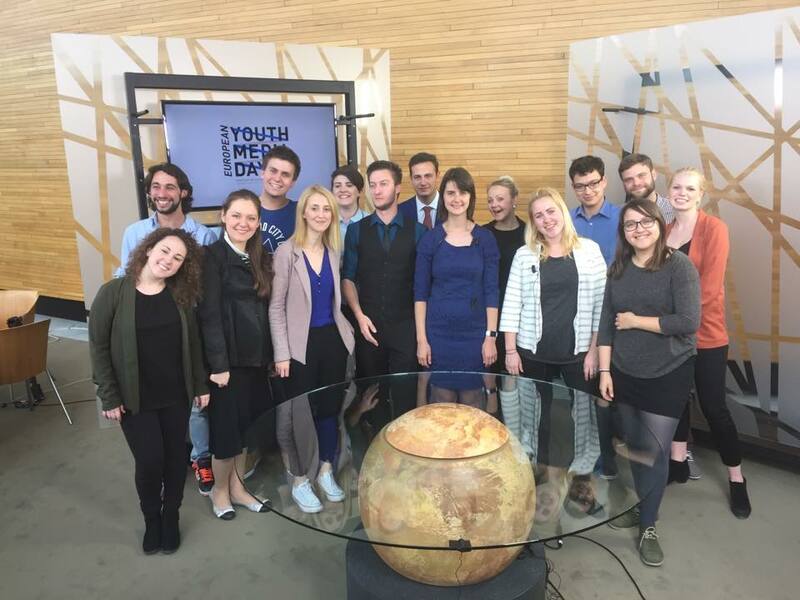 The show includes interviews with 4 Vice-Presidents of the European Parliament, MEPs, Game Researcher, Space Scientist, President of the European Youth Forum, 2 NGO representatives, the Final EYE-EYMD overview video with participants Vox Pops and informal Behind the Scenes Video. Special thanks to the AV services crew of the European Parliament!